Human health has biological, interpersonal and societal dimensions. 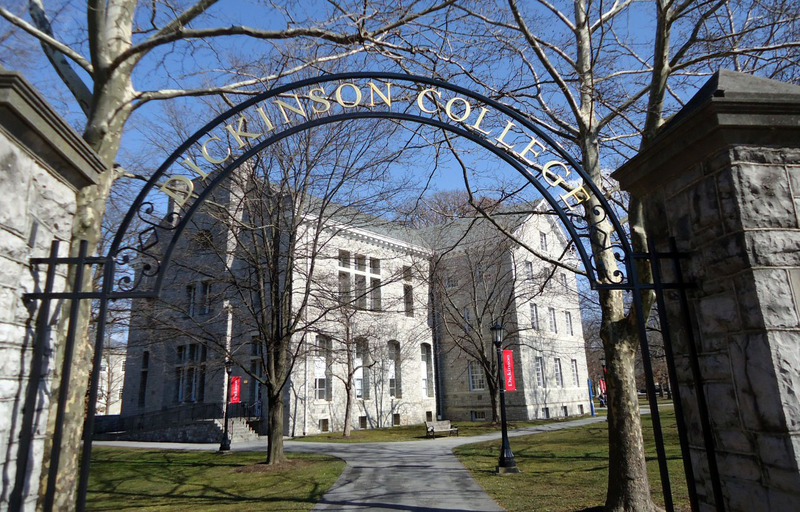 It’s no surprise, then, that Dickinson students take health-related courses and perform health research in a variety of disciplines. The health studies program assists students in identifying opportunities to pursue and expand their health interests and obtain hands-on experience both in the laboratory and in the community. Health studies faculty offer a range of perspectives on health so students can examine its complexity and connect it with the arts, the economy, ethics, politics, psychology and society. This is essential background for students with career interests in aid organizations, business and government, as well as medicine, mental health and public health. You should declare your HEST certificate as soon as possible. HEST students have priority for getting into HEST201 and HEST400. need to get the HEST Chair's signature. The students from the senior seminar in Health Studies will present Interim Report on Dickinson-Sadler collaborative health research, in which they will discuss preliminary findings from community-based work with Sadler Health Center in Carlisle. Please join us to learn about their research evaluating the relationship between a patient engagement intervention and diabetes management, using both qualitative and quantitative methods. The project, funded by Partnership for Better Health, will continue through 2019; students will provide information about the remaining phases of research and the relationship between Sadler and Dickinson. There will be a reception of wine and heavy appetizers following the presentation in the Rector Atrium right outside of the Stafford Auditorium. Sadler Health Center is currently seeking PAM® interns at its Carlisle site for the 2018/19 Academic Year. PAM® is an evidence based predictive survey that assesses a patients’ knowledge, skills and confidence in managing their own health. PAM® additionally provides care givers with coaching interventions to increase patient engagement and improve outcomes. The internship meets the HEST field experience requirement, but must be registered via the internship notation program to received final approval. To apply, please fill out the application. Dickinson will host a panel of community leaders who will discuss issues surrounding homelessness in south-central Pennsylvania and their efforts toward finding solutions.